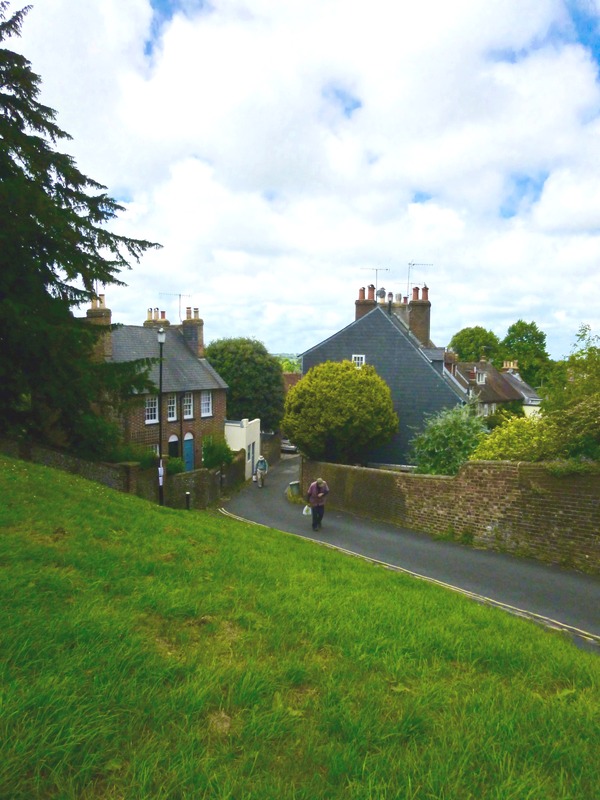 Castle Banks, as it exists today, appears to follow the line of an ancient track steeply down from Lewes Castle to White Hill and St John’s Church, skirting round the base of the northern flank of Brack Mound. The earliest buildings on the road appear to be The Old Poor House (around 1635) and the original part of Brack Mound House. The sale, in 1837, of most of the land associated with The Old Poor House led to the building of many of the houses still on the street today and some that have since disappeared. It is fair to say that for the latter part of the nineteenth and the early twentieth centuries the street seldom attracted Lewes’s more prosperous citizens except as a possible investment opportunity. A significant change in the street’s fortunes was East Sussex County Council’s (ESCC) 1963 proposal to build a Lewes Inner Relief Road. In preparation for this ESCC bought a number of properties at the northern (lower) end of the street. The cancellation of this project resulted in the resale of the houses and their subsequent redevelopment. Neighbouring pairs of houses were converted into single dwellings. It is our intention to collect together as much material as we are able about the buildings, their owners and their inhabitants and, ultimately, to make a presentation to the Lewes History Group.